‘There are no two things in the world more different from each other than East-Indian and West Indian-slavery’ (Robert Inglis, House of Commons Debate, 1833). In Slavery, Abolitionism and Empire in India, 1772–1843, Andrea Major asks why, at a time when East India Company expansion in India, British abolitionism and the missionary movement were all at their height, was the existence of slavery in India so often ignored, denied or excused? 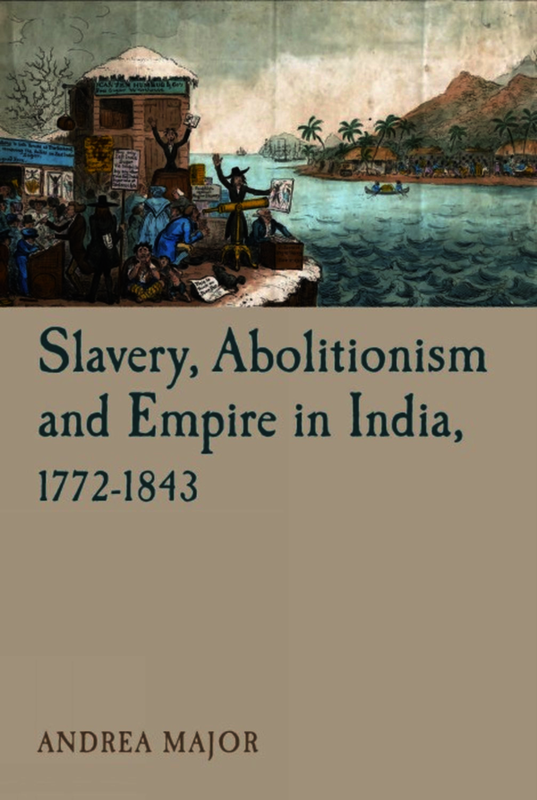 By exploring Britain's ambivalent relationship with both real and imagined slaveries in India, and the official, evangelical and popular discourses which surrounded them, she seeks to uncover the various political, economic and ideological agendas that allowed East Indian slavery to be represented as qualitatively different from its trans-Atlantic counterpart. In doing so, she uncovers tensions in the relationship between colonial policy and the so-called 'civilising mission', elucidating the intricate interactions between humanitarian movements, colonial ideologies and imperial imperatives in the late eighteenth and early nineteenth century. The work draws on a range of sources from Britain and India to provide a trans-national perspective on this little known facet of the story of slavery and abolition in the British Empire, uncovering the complex ways in which Indian slavery was encountered, discussed, utilised, rationalised, and reconciled with the economic, political and moral imperatives of an empire whose focus was shifting to the East. Andrea Major is Lecturer in Wider World History at the University of Leeds.